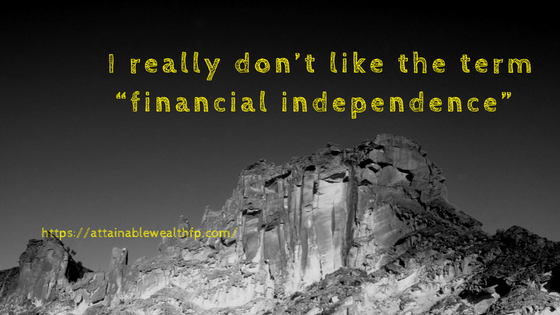 As I was talking recently to a potential client, the term ‘financial freedom” has been mentioned a few times. I heard the term plenty of times before; I know there are many online communities built around it. It has traction so it must be at least semi-legit and yet, I really, really don’t like what it represents. It’s not really the term, I guess. It is the concept behind it.